Other Pieces of Me: SQUEEEEEEE!! 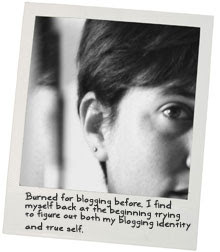 Hey, so remember way back when, when I announced that I had scored a gig writing for the new design blog over at FLOR? Yeah, well, today is the big launch of their new design blog, Musings, and my first post went up earlier this afternoon. So pop on over and say 'hello' if you get a chance. And while you're at it, go ahead and just add their blog to your reader but always click through and make lots of fun, interesting comments...come on...you know you want to! oh beautiful Miriam! I loved the blog! Congrats! And I don't mean to be the downer b/c this is sooo very exciting but you need a new picture! Sorry but my screen takes your picture and streches you all out :( but not the other girlies! Did you pick the photo or did they? You're so cute, I hate to see your pic like that! Oh, I know! I have to send them a better picture...my guess is the one I sent was portrait and they needed landscape...of course I don't have a single picture of me to submit since apparently I haven't been in a photo on my own since my wedding three years ago. Note to self...step out from behind the camera every once in a while! !